hCG Diet Interviews – Episode 6 – 127lb Weight Loss with the hCG Diet: Maintaining for 1 Year Now! Wow I can’t believe I’m already on Episode 6! of Interviews with Everyday People on the hCG Diet. The interviews with these ladies on the hCG protocol has been truly motivating thus far. Donna is no exception. In fact, after your hear her story you’ll probably ask yourself, “what’s my excuse?” Seriously, she’s been through it all. For those interested, you can purchase hCG Injections here. I hope you’ll listen/watch the actual interview, especially because today I’d like to hear from YOU. I’d love your comment below on what you appreciated most about her story. First of all, Donna has been vlogging her entire weight loss journey since the very start of her 127lb weightloss. The best way to feel confidence in this protocol is to see the transformation that others make with it. You can watch her journey from 270lbs to 145lbs at her youtube channel: Givingitmyall2011. 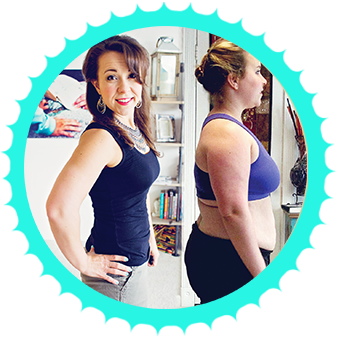 She has been kind enough to offer that for those of you who are truly serious about losing weight, and you need a little help or guidance, that you can private message her through her youtube channel. Keep in mind that she has her own private life and she deals with MS so she doesn’t feel well everyday, but she wanted to make herself available when she is able for those of you out there who are serious about doing the protocol properly. Donna has completed 6 rounds of the diet total, and it has now been a full year since the end of that 6th round when she got to 143 lbs. As she clarified for all of us, which is important to know, there have been times her weight has gone up temporarily 4-7 lbs depending on if she had to be on steroids for her health conditions, etc., but she has learned that she can always bring it back down by being balanced in what she does, so she has a very stable “range” of weight that she is in. She started at a size 20 and now fits into pants between a size 7-9. She wears yoga pants that are size small. In fact, she took a photo where both her teenage daughter and her got into her size 20 pants and zipped them up. I am not at all encouraging anyone to begin the diet plan if you have these types of health problems without consulting a doctor. We all make our personal decisions for what is best for us. Donna was diagnosed with Multiple Schlerosis 15 years ago. It affects all parts of our body because it involves the nerves- your brain, your speaking, your walking, your balance. Then 6 years ago she had a mild heart attack- she’s had 2 heart surgeries for stints. High blood pressure for 8 years which she has a long family history for. Before she began the protocol, she was taking 17 pills a day for just her regular medication to help her function on a basic level- that didn’t include supplemental pain meds. After completing the diet, she was down to 7 pills a day- less than half. Her doctor vetoed the idea of doing the diet and encouraged her to be happy with her situation. She says this was difficult considering that she was literally crawling around her house some days because her condition was so bad. She chose to do the protocol anyway after researching it fully. She found those on youtube making videos of their weight loss journey. She feels it was so worth the chance. It took about 38 lbs for her doctor to start lifting his eyebrows. The doctor finally admitted that he couldn’t argue with the results. Her cardiologist told her, “whatever you’re doing, keep doing it.” Her neurologist told her, “you go for it girl.” He had been telling her for years that she needed to lose weight, but she says that it was simply impossible with her metabolism and the state of her hormones. Donna did something a little different and took fairly short breaks between each of her rounds. This isn’t something that I often encourage for a couple reasons- one is that there are very few people who can keep their head in the game for that long without taking a break to live normally. 2ndly, the protocol itself can be a bit taxing on the body, so I feel the breaks are good for ensuring that your body stays in a healthy condition. But for Donna it was different and I totally agree that there are occasions where doing rounds closer together is warranted. For Donna this was that she was mentally THERE and ready to follow through all the way. Being on the diet often brings up emotional issues, especially when it comes to food, that we might have been unaware of before that we then have to work through, which can be difficult on the protocol at times. Because Donna had already been through some very difficult things earlier in her life, she had already gone through 2 years of counseling in the past to help her through these issues- thus when she started the diet, she had already worked through these emotional issues. Donna has had cancer 5 times since she was 30 years old- it’s a 100% recurrent form of cancer that is genetic. The resulting surgeries that she had from this caused her to go through some very difficult emotional times that the counseling helped her work through. She feels because she addressed a lot of emotional issues beforehand, once she was ready to start the process, it really clicked for her. Robin Woodall’s book Weight-Loss Apocalypse: Emotional Eating Rehab Through the hCG Protocol is literally a must-read in this regard. She really addresses the issues behind why we eat when we’re not hungry and helps see how we need to overcome this, as well as describing what the protocol is actually accomplishing (more than just losing weight) better than any other book. Donna remembers many struggles- she recalls a 9 day stall and a 14 day stall specifically. .2 losses, zero losses. A 2lb gain from the salt in a large pickle (fyi I learned there’s 5 servings in 1 large pickle- go figure!). She tended to overanalyze the reasons for these stalls and slower loss days- originally she did what many of us have done, “am I eating something I’m allergic to?” “what am I doing wrong?” But in time she realized the protocol does work and that the weightloss would happen when it would. She stopped weighing daily and stopped worrying about if a particular food was causing a stall. For her this was the right thing to do- it was freeing and she stuck to the protocol and didn’t need the scale to keep her going. How Does She Maintain? What Does She Eat? She states first of all that the biggest factor is that she is in a healthful mindset now. She became more informed about nutrition and found better alternatives to eat things she liked but healthier versions. It’s more obvious now what foods don’t make her feel good because of eating so well the majority of the time. She mentions a good point that when we are constantly full of less than stellar foods higher in carbs and processed etc, we are often not nearly as aware of how a certain food we eat affects how we feel. She stays away from white sugar and white flour, but she is not gluten free. She still eats pasta. Overall she doesn’t eat a ton of carbs, but she eats within hunger– meaning she eats whatever she wants, but within the limits of hunger. She doesn’t avoid anything that she likes and eats anything she wants, just within the realm of hunger and makes everything herself- she doesn’t eat anything out of a bad or container anymore. She likes her homemade crackers more than store bought anyway. Donna had the support from her family that she needed in order to get through her rounds of human chorionic gonadotropin (hCG) successfully. They understood that she had to watch hours of hCG vlogs on youtube. One of the difficulties that I think especially women and mothers have when they do the protocol is that they feel terribly guilty for not being as available or present for their family during this time. Or they continue to be just as available to their family at the cost of not doing the protocol properly. This diet can be hard. You have to realize that you may need to buy out more time for yourself during this 3-6 week period while on the protocol in order to do it successfully. Doing this will make you MUCH more available for your family long term. But you have to get your health in order first. I asked her what she feels it’s important for people to know who embark on the diet protocol. She said to remember there are a lot of non-scale victories. Give yourself grace when you mess up and KEEP TRYING. Do not give up. It’s a process not a race- take it in your own time. Donna agrees that excess skin is a factor when it comes to happiness with your body. She had actually lost 7 additional pounds originally, but felt that her skin didn’t look as good, so she chose to keep her weight several pounds higher because her skin looked a little more filled out and better to her. The elasticity of a person’s skin seems to be affected both by genetics and age. While she of course still deals with her MS, being able to lose 127 lbs with HCG Injections has given her a better measure of health that she would not otherwise have. The biggest lesson I personally took away from my interview with Donna is that no matter what a person has been through, we all have the ability to do our best to make whatever changes to our circumstances we have- it won’t make life perfect, but it will make it a lot better than it would have been otherwise. Thank you so much for allowing me to interview you Donna. So what are your thoughts guys? What do you appreciate most about her story? Way to go Donna and Chica! You ladies are awesome! I am loading today and this is my first round of four that I finally understand what I am undertaking. Thanks to Chica for her many videos and interviews like this one and for helping me find Robin Woodall works. I now understand the importance of following the protocol as it is described. Robin's adjustments to the protocol… especially eating based on hunger, make a lot of sense to me. Before starting this round I practiced as she suggests for 2 weeks. I so much enjoy your videos Chica! You have a talent for communicating with us in a way that feels like we are all in this together. Ok so I have to say I agree with you. Donna has been through it all, and she did it, so I HAVE NO EXCUSE! I’ve just finished my loading days, and I start my VLCD1 tomorrow. Wish me luck!! I feel very optimistic, and thanks to you, very well-informed too. Good job! I too felt the same way about her experience- helps us put our own situation in perspective. I’m so glad you feel prepared! Wow! What an inspiring story! I thought I had issues that were difficult to overcome, but hers trump mine. Now, I have NO excuses. I’m on my 2nd round with an ultimate goal of 30 more lbs and reading these blogs, especially hcgchica, has been incredibly helpful. Thank you for posting these interviews! I know isn’t it Lori? That’s why I said that the rest of us would realize we must be able to do this if she can. :)- I’m so glad my blog has been helpful- I will definitely keep doing the interview- I have 2 more I’m editing now and many more I’m sure since there are many successes on this protocol.